Enjoy the top 1 famous quotes, sayings and quotations by Brian Kilcommons. 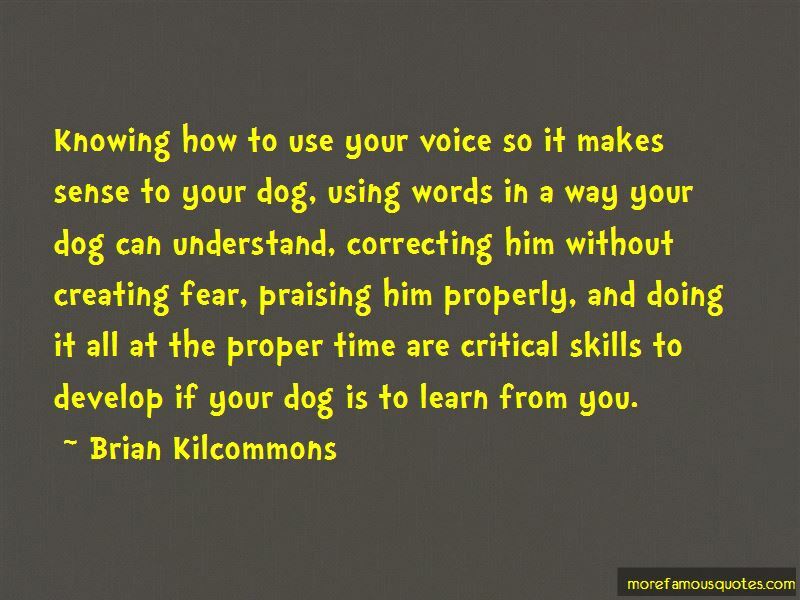 Knowing how to use your voice so it makes sense to your dog, using words in a way your dog can understand, correcting him without creating fear, praising him properly, and doing it all at the proper time are critical skills to develop if your dog is to learn from you. Want to see more pictures of Brian Kilcommons quotes? Click on image of Brian Kilcommons quotes to view full size.